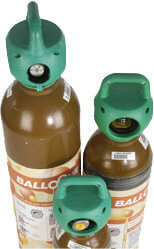 Welcome to Balloon Helium, the UK's leading supplier for all your balloon and helium gas needs! Whether you're having a party at home or need to decorate a venue for a large celebration, we can provide everything you need to create a cost effective but spectacular display of balloons. For businesses, we offer a professional tailored service to meet your event or promotion requirements, whether it's a small product launch or a huge corporate conference or event. 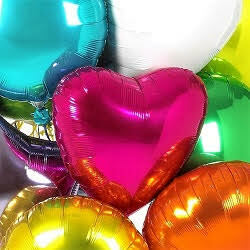 In addition to helium gas, you can also purchase your balloons from our extensive range, as well as accessories such as ribbon, balloon weights, release nets and more. If you're looking for a complete bespoke service we also offer balloon printing, balloon releases and balloon delivery. Feel free to contact our friendly and experienced customer services team by email or telephone to discuss your requirements and we'd be more than happy to provide you with an obligation free quotation. Suited to larger events and for more cost effective filling. Please click on the learn more button to find out more information. Our most popular option! 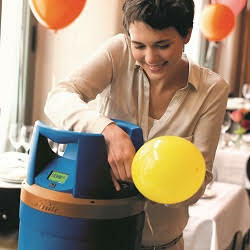 Perfect for home use, party occasions and small events, our light, easy to use hire cylinder offers great value for money. A great choice for small events, this fantastic lightweight cylinder is so easy to use and perfect if you need to transport it to your venue. The perfect choice if you want to inflate large numbers of balloons, this lightweight and easy to use cylinder is great for decorating venues and taking to events. A great value option for corporate events or promotions, this cylinder will make inflating large numbers of balloons a doddle! A huge cylinder giving the most cost effective price per balloon solution, ideal for large scale corporate, promotional events & in retail outlets. Whilst our disposable cylinders are a good choice for home use and smaller events, you may like to check out our hire cylinder range above which gives you the option of picking up from your local depot or having your cylinder delivered and collected to any address in the UK. Perfect for smaller events and occasions, this convenient, light & easy to use recyclable helium cylinder is a great value option. Great if you don't want to hire a cylinder, this package gives you the option to inflate a good quantity of balloons for small to medium events and parties. 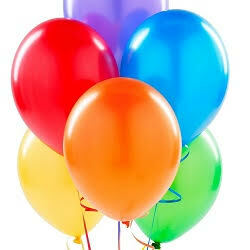 Convenient and cost effective, this combo enables you to inflate balloons for medium sized events or promotions. If you need a practical, efficient and simple way to inflate balloons for your medium sized event, this package is spot on. 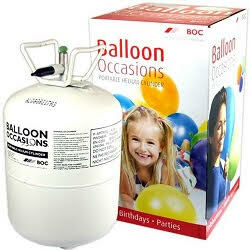 Great for taking to venues, this package offers a convenient way to inflate a large number of balloons on the go. A fantastic solution for large or multiple events that need the flexibility of several small lightweight cylinders. We stock a huge variety of un-inflated balloons, whether its standard latex and foil balloons, message balloons, giant shaped foil balloons or 8 foot 'cloudbusters' you're looking for, we offer the full range of the highest quality balloons on the market. We offer balloon packs in small and bulk quantities all at very competitive prices, so if you want to mix and match a range of different styles and designs to suit your event, that's no problem. We go to great lengths to source the most diverse and highest quality range of balloons on the market so if you can't find what you're looking for, don't hesitate to get in touch – we'd be more than happy to help you find what you need! 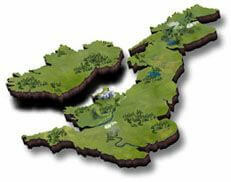 Here at Balloon Helium, we also offer a range of additional specialist services. If you're looking for high quality balloon printing, a great way to promote your company, we offer a comprehensive printing service for foil and latex balloons. We can also provide all you'll need for a successful and visually stunning balloon release, maybe for a charity fundraiser or promotional event. Or perhaps you're organising an event, but don't have time to decorate your venue – our balloon decorating service can arrange for a local balloon decorator to come to your venue to and do it for you. Finally if you'd like to send someone a balloon-in-box gift, perhaps for a birthday surprise or as promotional tool we also provide a balloon delivery service.